I have been looking at the energy of the world and what is coming up for us. There is a lot of change and it will be challenging to our beliefs and values. We are LIGHTWORKERS and we have chosen to be here at this time. Some people are going through incredible pain and turmoil, but we need to remember that no matter whomever is receiving or/and causing the pain, we are all part of the plan for change. It would seem like there is a lot of what we would perceive as evil in the world right now. When I look into the hearts of those bringing destruction to the lives of others I see a passion for an ideal. There is a lot of darkness in this vision, but they don't understand or not in touch with the impact of their vision. When a group of souls come together with a joint vision they can make change. It's happening particularly to many of our younger souls, they are receiving only part of the story, part of the vision. What I see of this vision is a change in religion, a change in the way we live. It's not being done in the right way though - at least that's the way I see it, it's not my way - , but it is still part of the plan. We are living in the VIOLET age, this is an era of TRANSFORMATION. Notice how our work as HEALERS is becoming more mainstream, this is also part of the plan. Light VS Dark, isn't that what the Star Wars movies are about? In 1981 there was an experiment conducted in Brighton, England by a group of healers. There was a lot of violence in the town so they came together on a regular basis to send healing energy to a central point. They decided on a fountain in the town center as the focal point of their healing. 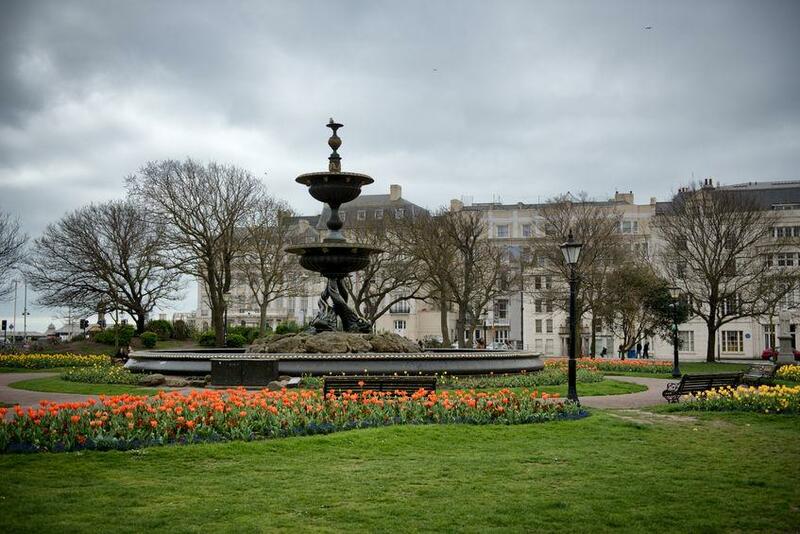 To begin with they organized a group event to meet at the fountain on St Michael's Day. 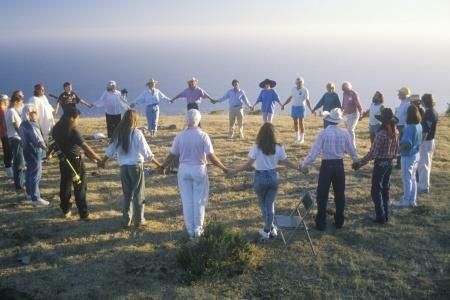 Around 100 people, many of them healers, came together to send energy. Dowsers checked the ley lines running through the fountain both before and after the event and were thrilled to find the energy had multiplied 2400 times, quite a successful result! What they discovered was that during the course of their absent healing sessions over the weeks and months that followed the violence in the town was reduced, accidents diminished, and the people living there had a greater sense of wellbeing. The earth has these incredible lines of energy that run throughout it. When we focus on those lines of energy rather than a country or particular people, then the energy can go to where its needed and to those who are open to receive it. ARE YOU WILLING TO SEND HEALING ENERGY TO THE EARTH NOW? How about we do this together. It's not going to take much of your time. I like the number 444, its an angel number. So I am intending to send energy every week on Thursdays at 4.44PM EST. It doesn't matter where you are in the world, you can send energy at that time too in your time zone. With a world filled with time zones we could pretty much have the whole of Thursday filled with healing energy. My thought is that I could place a photo of a fountain somewhere in the world on my Facebook page and on my Love Letter blog. If it feels right for you, then you could send me a photo of a fountain in your town and we can all send energy to this image. The idea is that we would visualise earth energy coming up from beneath the fountain from the Goddess of the earth, Gaia. Then we'd visualize pure white light coming down from the heavens and into the fountain to join with the earth energy. As we visualize this energy we also imagine love merging with the earth and light energies and see it spreading out as healing energy into the surrounding areas, healing the land, people, animals, and all forms of life, and spreading until it encompasses the whole Earth. We would do this once a week as a group, but you can also practice it on a daily basis. It's a very simple technique. 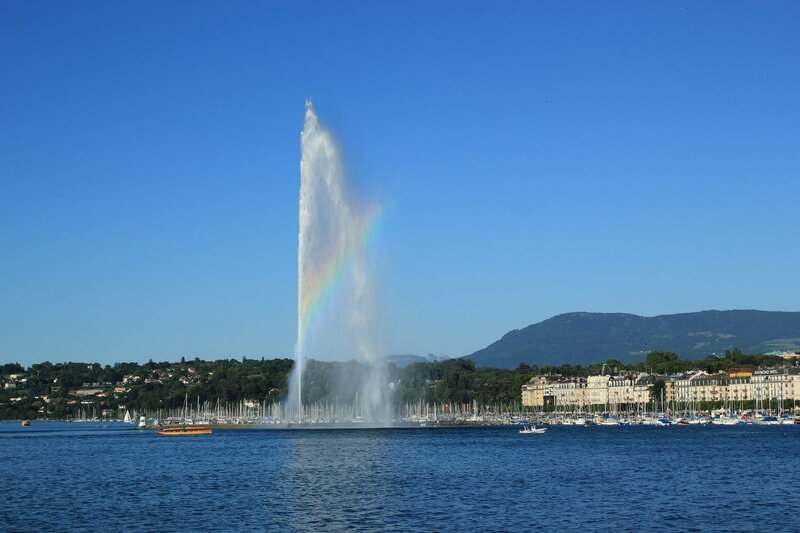 I feel a good starting point would be the fountain over Lake Geneva in Switzerland. I love the idea of a fountain because it is symbolic of movement and flow. I feel we need to come together to bring this healing energy to the planet. You may not see a difference in our lifetime, we are doing for the future of the planet. That's why we came. On Thursday I'll post this photo and a reminder of the healing visualization on my Facebook page and Instagram page. On Thursday 10th December 4.44PM in your time zone focus your healing love and light on this fountain so we can begin to spread positive energy to the planet. If you forget at 4.44 it doesn't matter, just do it when you remember. * Send me a photo of a fountain in your area so we can use it as a focal point one week. Include the name of the fountain, town, and country. The photo needs to be one you have permission to use. Iris M. Lorca Great page and info,thank you?